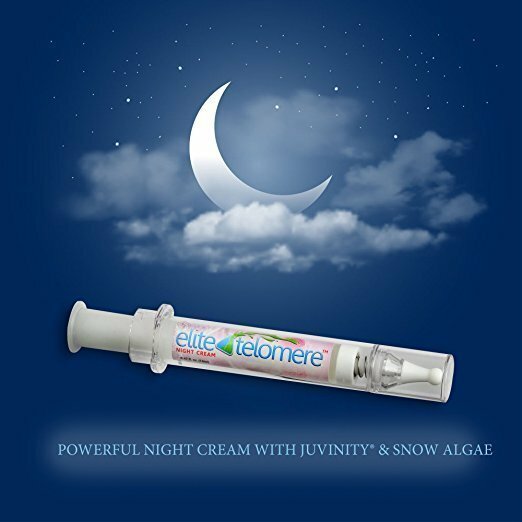 Add the Elite Telomere Night Cream to your nightly skin care routine and stop the aging of the skin while you sleep! 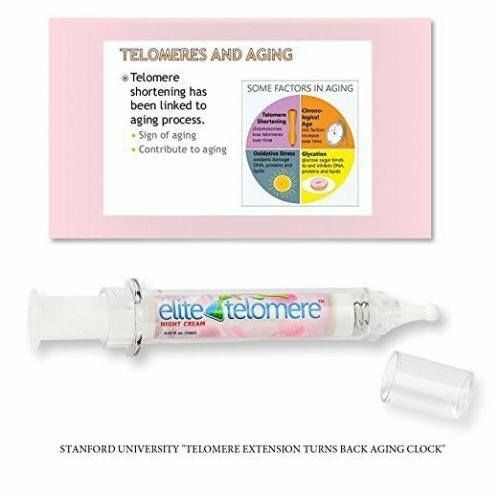 This potent face cream reverses the signs of aging, bringing back a younger-looking appearance in no time. The scientific breakthrough of telomerase works microscopically to fight against the mechanisms that result in premature skin aging, including fine lines, crow’s feet around the eyes, puffiness and inflammation, redness, enlarged pores, and saggy skin. 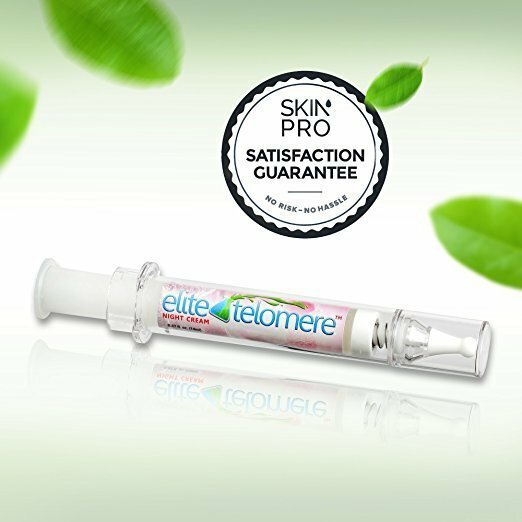 When combined with our top selling Elite Serum Rx eye serum, these two products provide the perfect one-two punch to any skin care routine. This cream is fortified with Juvinity and Snow Algae that provide radiant skin by reducing free radicals and oxidative stress that externally damage the skin. 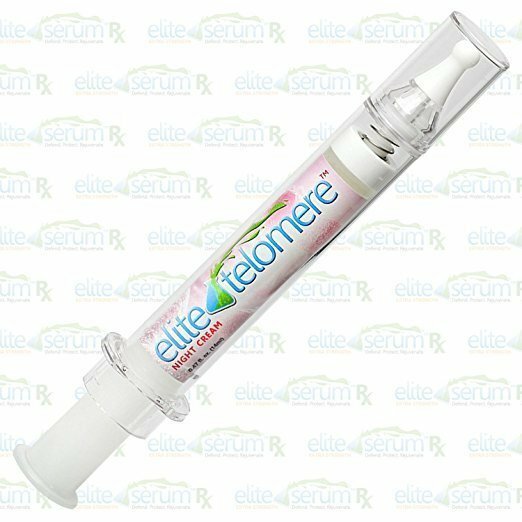 It also rejuvenates the skin from the inside with its collagen boosting properties to stimulate connective tissue improvement, making the skin firmer, tighter, and more elastic. By rebuilding and lengthening telomeres, found in DNA strands, weakened and damaged skin cells are restored to fight the signs of aging. 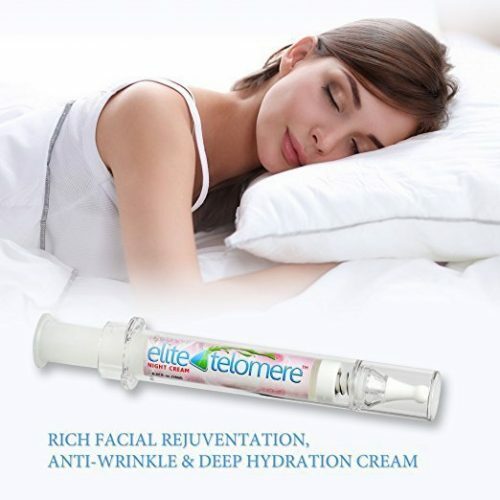 Use it while you sleep and wake up to healthier skin! Apply to face and neck at night. Purified Water (Aqua), Glycerin, Dimethicone, Dimethicone/Vinyl Dimethicone Crosspolymer, Cyclomethicone, Tetradecyl Aminobutyroylvalylaminobutyric Urea Trifluoroacetate, Palmitoyl Tripeptide-5, Palmitoyl Dipeptide-5 Diaminobutyroyl Hydroxythreonine, Chlamydocapsa sp.-101 Extract, Maltodextrin, Lecithin, Caprylic/Capric Triglyceride, Geranylgeranyisopropanol, Hyaluronic Acid, Sodium PCA, Sodium Polyacrylate, Xanthan Gum, Phenoxyethanol, Ethyhexylglycerin.